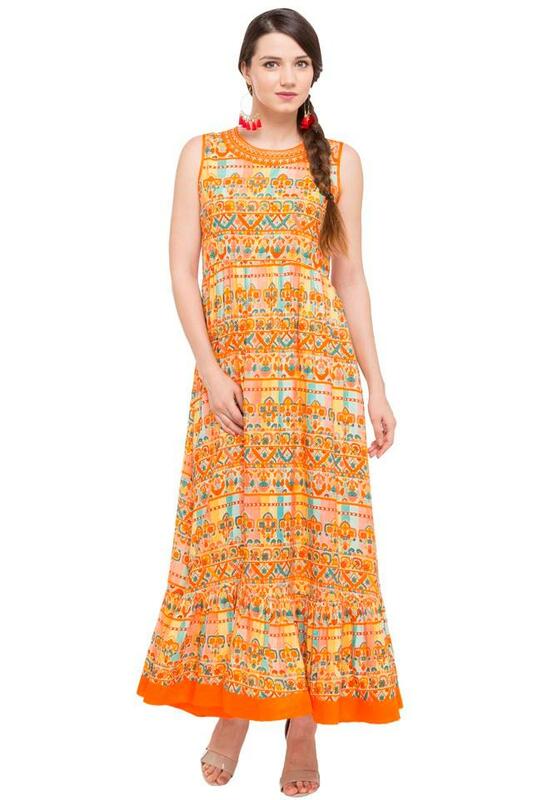 Pull off a classy look by wearing this maxi dress from the house of A Small Shop. 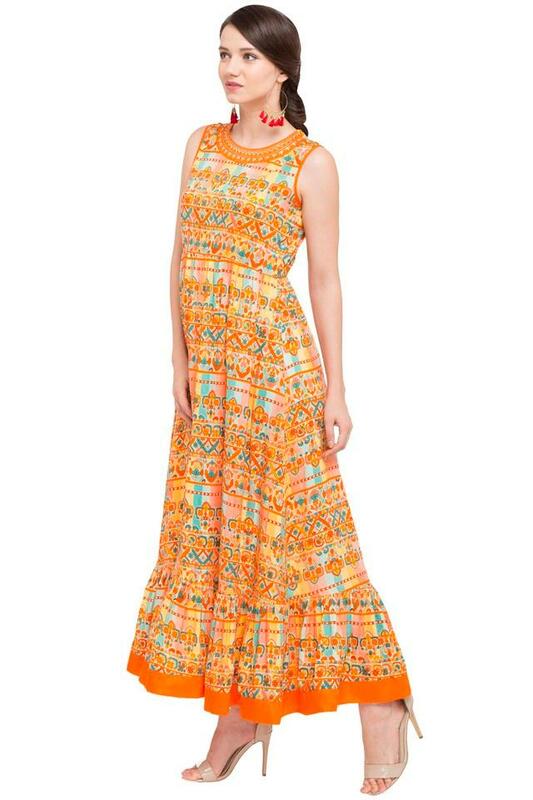 It comes in a printed pattern that renders it classy look. Besides, it promises to provide you with optimum comfort as it has been crafted from a good quality fabric. 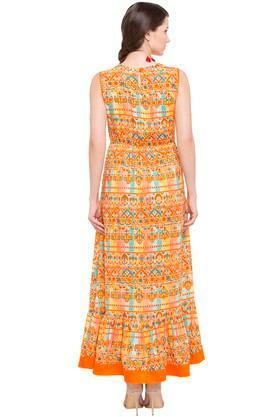 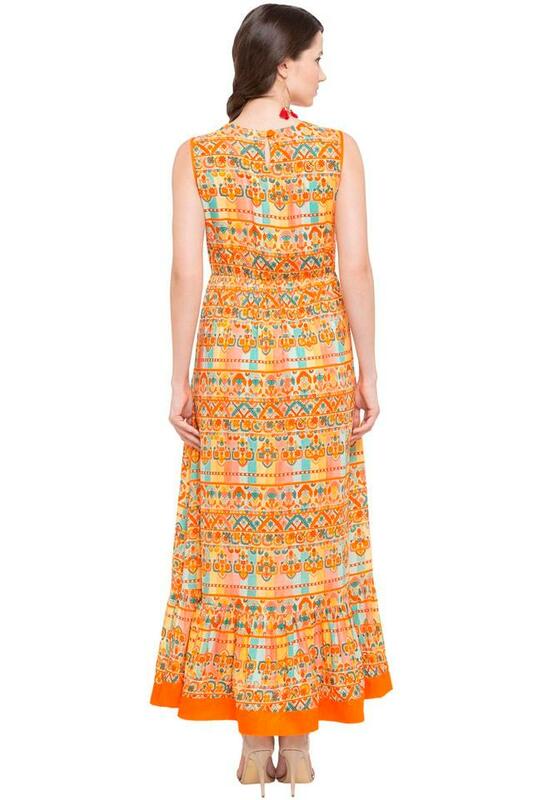 Fetch compliments for your style sense by wearing this maxi dress for any casual occasion.